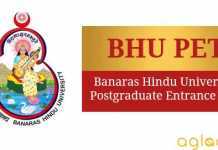 BHU UET 2019 Answer Key – Banaras Hindu University will be releasing the BHU UET 2019 answer keys, prior to the result declaration date. The official answer keys will be released over the official website of the University for various programmes like B.P.Ed, B.P.A, B.Ed, and B.A courses, once the exam is done conducted across its 20 test centers. Usually, the answer keys will be released in the month of April. With the help of the BHU UET 2019 Answer key, a candidate will be able to estimate their BHU UET 2019 scores prior to the result declaration date. This page has been specially designed to provide the candidates the answer keys of all the BHU UET 2019 exam. Candidates can check the same from below. Candidates can avail the provision of challenging the provisional BHU UET 2019 answer key if they are not satisfied with any of the response provided by the authorities. The Benaras Hindu University will be accepting the objection in a prescribed format only within the 3 days of the allotted period in online mode over the official website to the Controller of Examinations, BHU. Note that, the University will not be accepting any objections once the BHU UET 2019 Final answer keys have been released. But first, all the candidates need to keep a track of BHU UET 2019 related event from below. How to Download BHU UET 2019 Answer Key? Candidates need to visit the official website i.e. bhu.ac.in or bhuonline.in. Lastly, the candidates will be able to see all the correct answers to the questions that were asked in the examination. Or candidates can directly download the BHU UET 2019 answer keys for all the 3 sets from this page. Candidates after having appeared for BHU UET 2019 will be eager to know whether they have qualified for the exam or not. In such a situation, we tend to get impatient and could not wait for the authorities to release the result. With the help fo BHU UET 2019 Answer key, a candidate will be able to estimate their chances of qualifying for the exam. That is the sole purpose of releasing the BHU UET 2019 Answer key, prior to the result declaration date. Also, all the candidates willing to appear for BHU UET, next year will be able to practice the type of questions, that may be asked in the exam. How To Use BHU UET 2019 Answer Key? Candidates can follow these steps to download the BHU UET 2019 Answer Key and to use it by following the instructions listed below. Candidates can simply avoid the hassle of downloading the answer key from the official website and once the BHU has released the answer keys for the various courses. 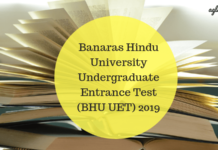 Just click on the link of the BHU UET 2019 entrance exam, that you had appeared for. Download it and start cross-checking the answers with the help of the answer key. Make sure, to keep the BHU UET 2019 exam pattern for different subjects in mind. Check whether negative marking scheme is applicable or not and the marks for each correct answers. Note that, a candidate will only be able to estimate their chances of qualifying for BHU UET 2019 and not their exact marks. To know their exact marks, a candidate will be required to wait for the BHU authorities to release the result, as per the dates. How To Challenge BHU UET 2019 Answer Key? 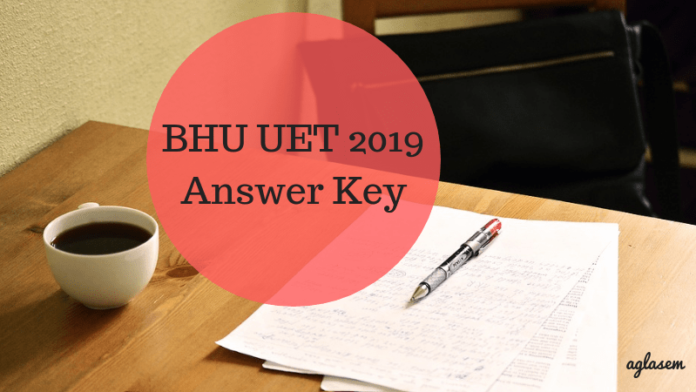 Candidates, if not satisfied with any of the responses mentioned in the provisional BHU UET 2019 Answer key will have the option to challenge it. Benaras Hindu University will only be accepting the challenges sent in a prescribed format. A candidate needs to mention the following while sending their complaints regarding the BHU UET 2019 answer key to the Office of the Controller of Examinations. Note that, the authorities will be considering the challenges sent by all the candidates. If any changes need to be made, the authorities will be releasing the final BHU UET 2019 answer key which cannot be challenged any further. Once the provisional and the final BHU UET 2019 answer keys have been released, the authorities will be declaring the BHU UET 2019 Results online. The BHU UET 2019 Results will be announced over bhuonline.in. Candidates will be sent a notification regarding the release of the BHU UET 2019 Result via an email or text message. BHU UET 2019 Result will have the section wise marks obtained, along with the merit score or rank achieved by a candidate. On this basis, a candidate will be further called for BHU UET 2019 Counseling round. Candidates can have a look at the BHU UET 2018 Answer key for all the courses of all the 3 sets provided below. Below, we have provided you with the BHU UET 2017 answer keys of all the 3 sets. Candidates can check the same in the pdf link provided below.